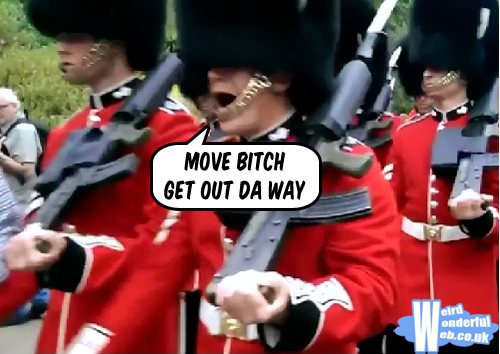 Weird Wonderful Web: Queen's guards on the rampage! Queen's guards stop for no one! They may look silly in their big fluffy hats, but get in the way of the Queen's guards and you are quite likely to get trampled! This poor tourist couple found out the hard way.